Designer Loves Art: Dusting off the blog! the start of a new project..
Dusting off the blog! the start of a new project.. So I currently have time on my hands, and I decided that I should star with a new personal growth project. For years I have been on and off on art classes, and this time I felt that I needed to start on something new, which lead me into Illustration and Graphic novels. Why because partly its something I have not tried before, how ever during my life I have said that I would like to illustrate a book or even to create a coloring book ( since they are in fashion now for both adults and children). One of my last art classes was on watercolour, and I started watching quite a few videos on the technique, and you find everything in youtube, from good and welcome advise and tutorials, to people who don't understand the technique well. This how ever let me to understand that I don't have an art style of my own. So for the next weeks we are going to start on this new route of Illustration and graphic novels as well as finding an appropriate style for such medium. To start of I have searched thought the internet, to start on this journey and I have divided into 2 parts. 1) "Finding your style" by Christopher Kerry which I will be starting and posting each of the steps as I go. I will start posting here as I go along in each one of the steps. I will be posting every week, but it might be delayed on the according week. 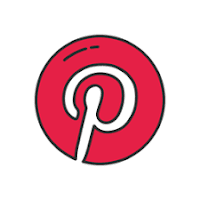 My pinterest will now also have a new folder for inspiration on this little projects, from art styles to images, to online little tutorials. Lets start with the new year!